Are you struggling with hurts, habits or hang ups of any kind? Celebrate Recovery is a 12-step, Christ-centred, Bible-based and forward looking recovery programme which is new to Peebles. 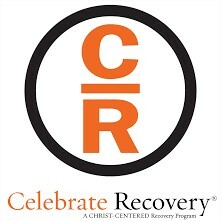 Celebrate Recovery is a safe place to find freedom, along with others, from the issues that are controlling your life. We meet on Thursday nights, from 7.30-9.30pm, in Peebles Community Centre (the Drill Hall). There’s no charge, but donations are welcomed to cover coffee/tea and room hire.